This was a spur of the moment Friday night venture to another of the many SJ restaurants taking part in Farm to Fork Week. It had been a couple of years since I was here and I was excited about the prospect of a return visit. 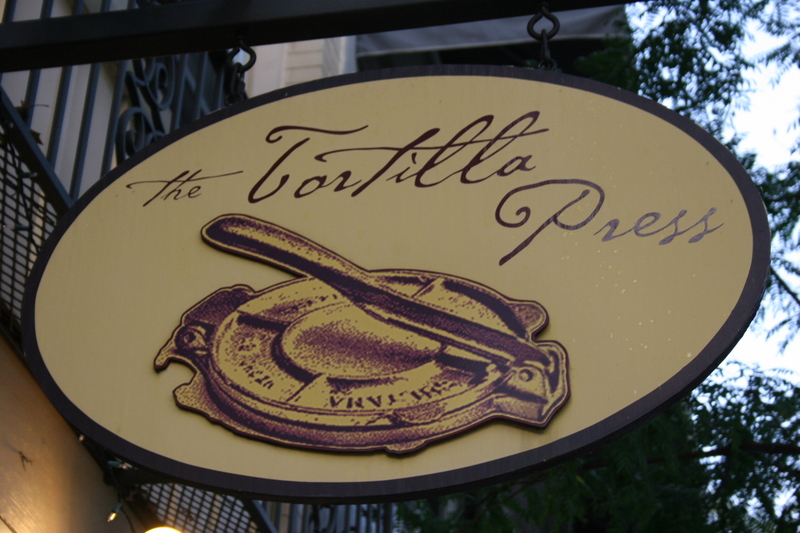 Tortilla Press was offering a four course prix fix menu at $30 per person and the eight Friday night regulars were all hungry. Hunger and food are always a good combination. 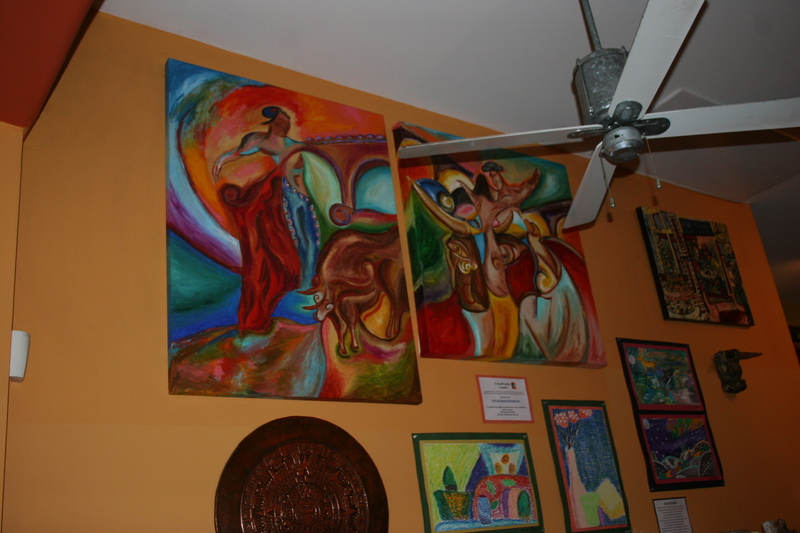 The interior of Tortilla Press is bright and cheery with colorful Mexican themed paintings adorning bright orange walls. We had the table at the window and some of our group were able to watch the stream of wine-toting diners advancing to and from the many excellent restaurants in the Collingswood neighborhood. Our server brought out some chips and salza, both spicy and mild, and we munched away while trying to make decisions from the special four course menu. There were three appetizer choices and our group ended up with all three. 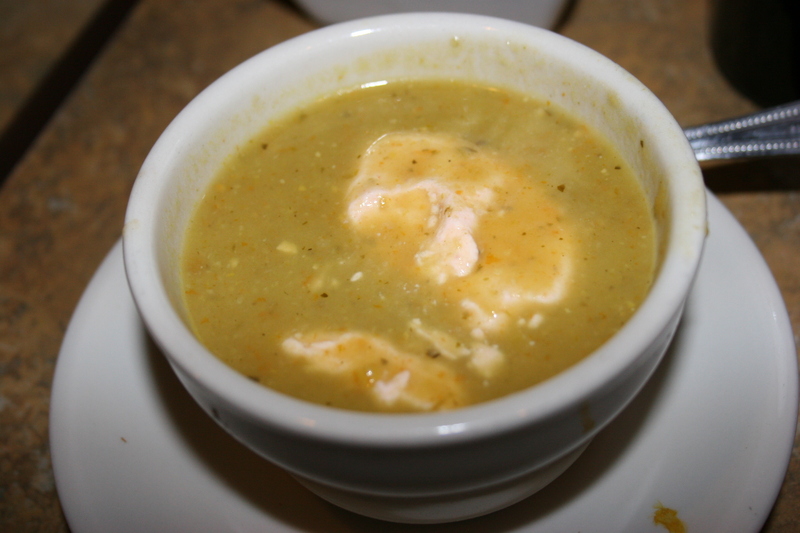 With zucchini, potatoes, poblano peppers & corn in a lightly creamed vegetable broth. 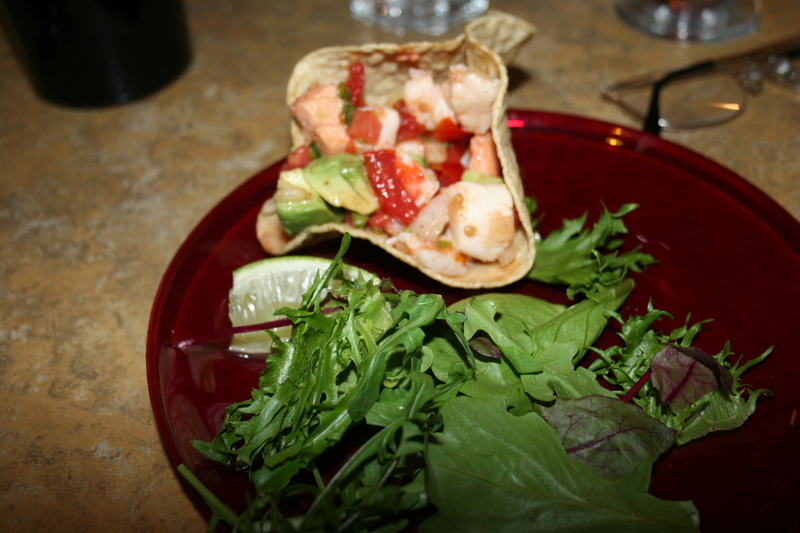 All of these starters were well received by everyone with the lime dressed ceviche having a nice tangy flavor. With mixed lettuces, corn, cucumbers, yellow grape tomatoes, black beans, bacon & queso fresco cubes tossed with roasted jersey tomato vinaigrette. Tomatoes & corn from Springdale Farms. 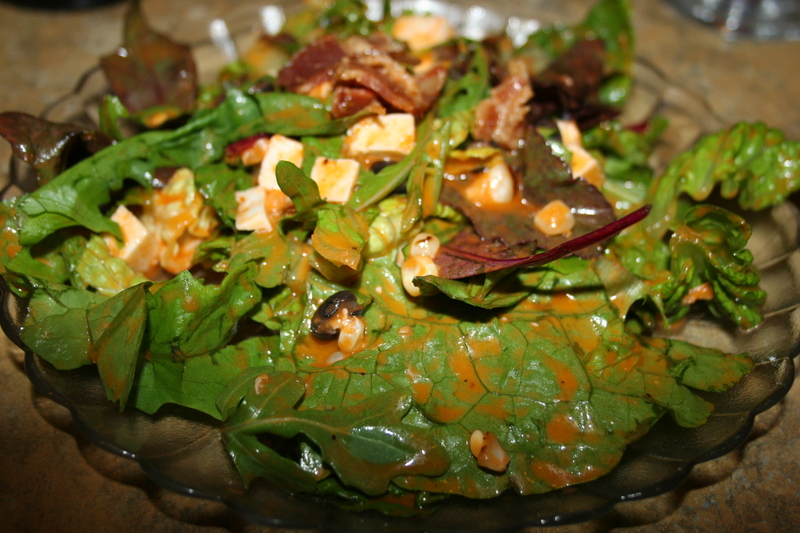 It didn’t look like much but the flavors blended together nicely to make this an enjoyable salad. 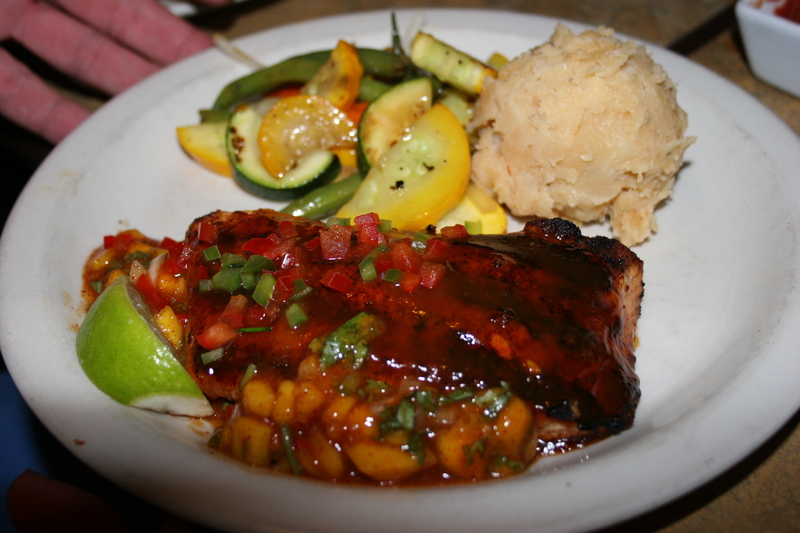 Served with peach cider~ancho chile glaze, coconut rice & sautéed garlic jersey green beans. 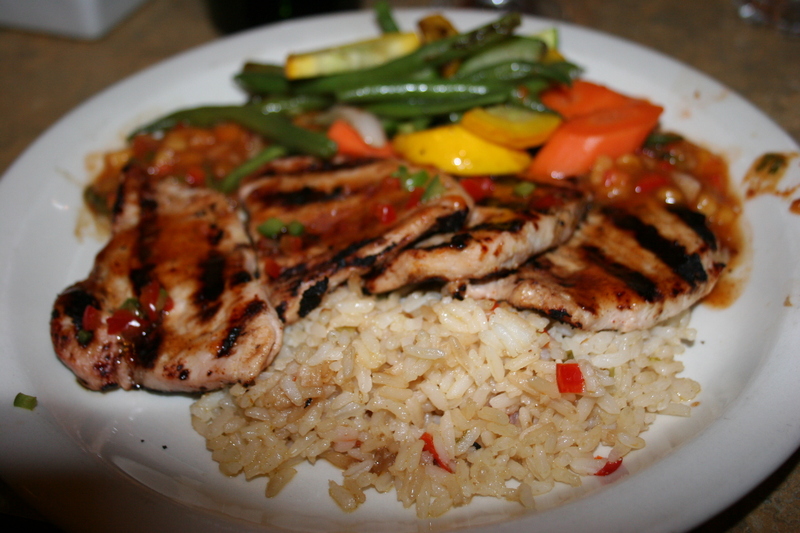 Jerry C. also had the pork and when I mentioned that mine was little tough he had me try his which clearly was a better example of the same dish. It wasn’t enough to send back but it certainly was a flaw in the meal. Served with a Mexican style roasted eggplant & zucchini ragout. He was happy with his choice. 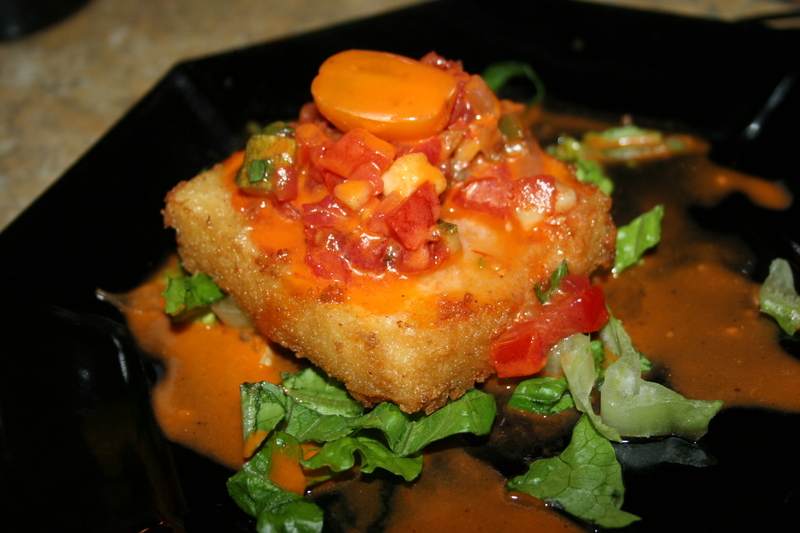 The blend of unique flavors adding a certain charm to the dish. 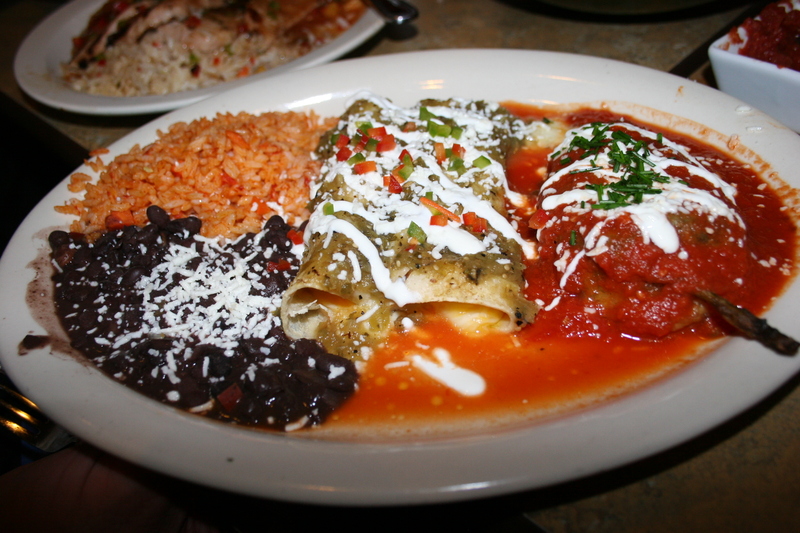 served with red rice & black beans… poblanos & tomatillos from Flaim Farms. 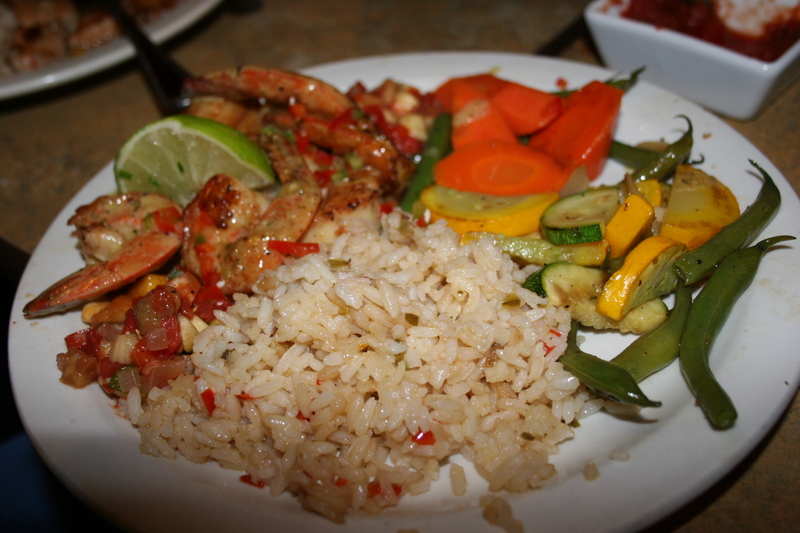 This offering looked more like the typical “Mexican food” entree one would expect and she thought it was very good. My wife, Kathy and Tom T. both ordered off of the regular menu and Kathy had the Salmon with peach flavored barbecue sauce with chipotle potatoes. She finished what she could and the remainder is currently resting comfortable in our refrigerator. Tom T. can’t eat a lot of spicy foods so bringing him here to Tortilla Press was a little bit like bringing an alcoholic to a keg party. 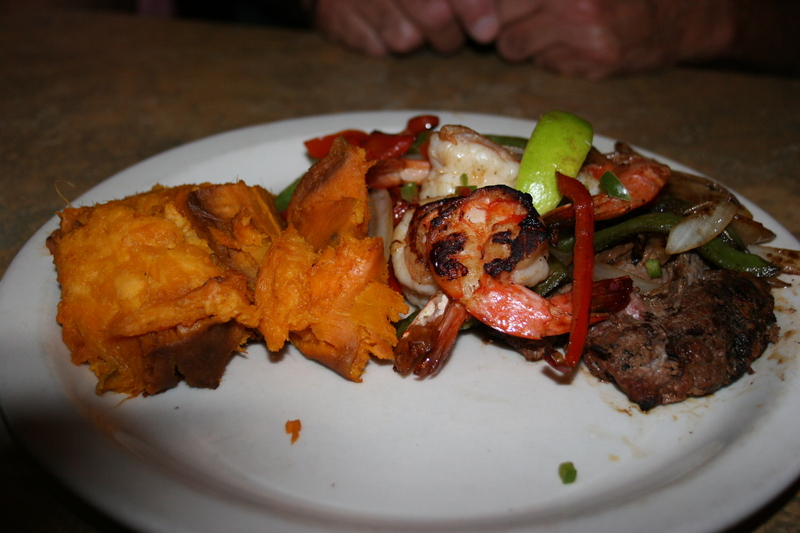 After lengthy negotiations with our server they signed a treaty forever to be known as the Tortilla Press July Accord and worked out a dish that featured steak and grilled shrimp with some veggies and a baked potato. Tom was at peace with his meal. Most of the crew had opted for margaritas with Carol and Joe bringing a bottle of tequila and Tortilla Press providing pitchers of margarita mix, one lime and one mango (we were only charged for the lime). 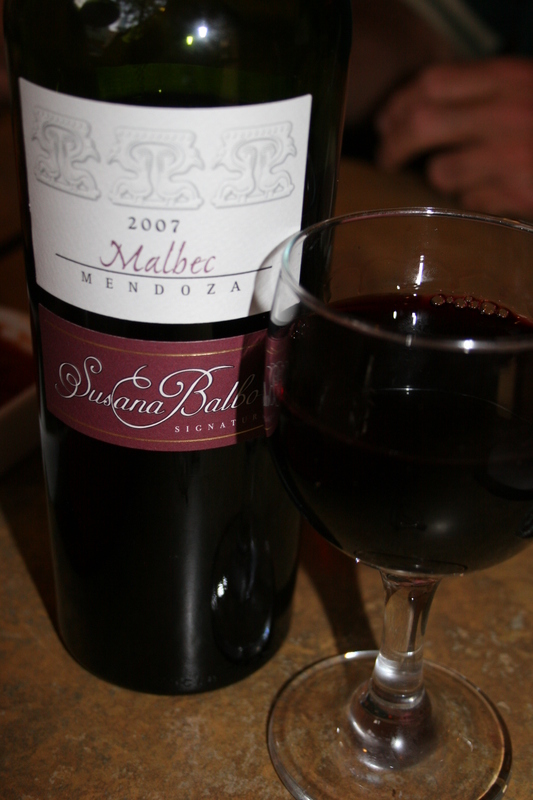 I brought a bottle of the 2007 Susana Balbo, Signature Malbec, Mendoza, Argentina. This wine was a cut above her regular Malbec offering and the bright cherry flavors were a good match for the south of the border spices in our dinner. I wish I had picked up a couple more bottles of this one. I should have offered Joe some but I didn’t think he would get the true flavors of the wine to cut thru the margarita. 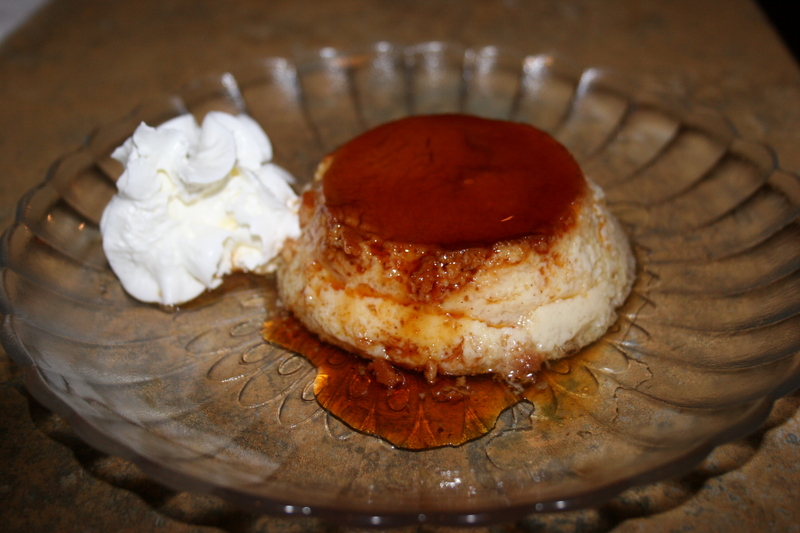 while the remainder of our party went with the Flan with Jersey Blueberry Compote. 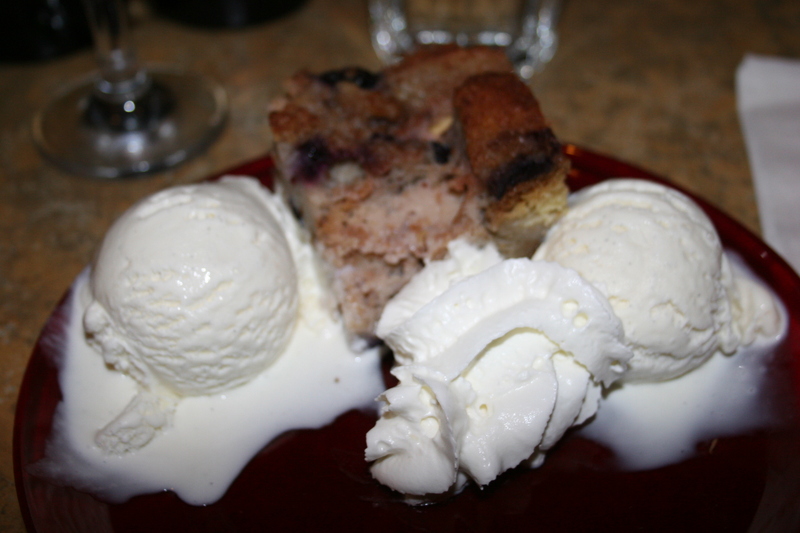 Both desserts were good and overall it was a pretty good experience. As nice as the prix fix deals are, there is still something to be said for being able to order from the full menu. My dinner was good but I’m not sure it’s what I would have had the same meal if there had been more selections.